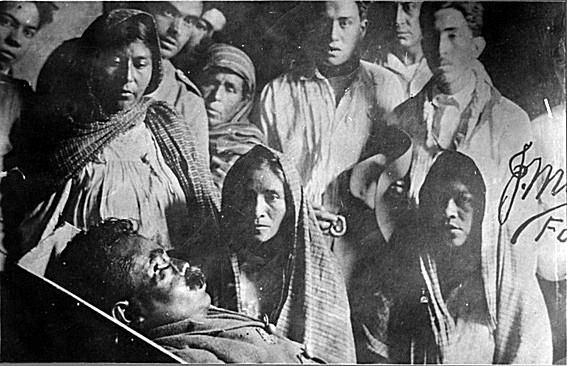 Emiliano Zapata, "El Caudillo del Sur," was ambushed and gunned down on April 10th, 1919 in Chinameca, Morelos. It took 20 bullets to bring him down. He was 39 years old. Zapata is one of Mexico's best remembered and most beloved revolutionary leaders - and perhaps its most renowned and representative historical figure. Emiliano Zapata Salazar was born on August 8th, 1879, in the rural village of Anenecuilco, Morelos, a community of peasant farmers. Emiliano was orphaned at 16, but he made his own way, taking pride in his independence and his ability to make a living for himself off of his own land. When the land-owning class pushed him and his fellow peasant farmers off the land, leaving them with nothing, Emiliano used his position of leadership within his community to lead a revolt. He was soon positioned as the central leader of the revolution in the south of Mexico, and his forces helped to remove dictator Porfirio Diaz from power. Unfortunately, after the successful ousting of dictator Diaz, civil war broke out in Mexico as various revolutionary leaders all battled for power. Zapata, who commanded an army of 27,000 men, wanted only land reform, so that his people, and people across Mexico, could make a living. "The land should belong to the people who work it, " he declared. But other revolutionary leaders, Francisco I. Madero and Venustiano Carranza, denounced him and set a "scorched earth" campaign against him and his Zapatista rebels, burning homes and crops and killing the inhabitants, conscripting them, or sending them to labor camps. Zapata had finally retaken his home-state of Morelos from Carranza's troops, when Jesús María Guajardo, a general in Carranza's army, ambushed him in la Hacienda de Chinameca, where shooters waited on the roof. They shot him 20 times. "I'd rather die on my feet than live on my knees," Zapata famously said - and he did. He died, still fighting for what and who he believed in, the people of Mexico. He died "a slave to principles, and not to men." 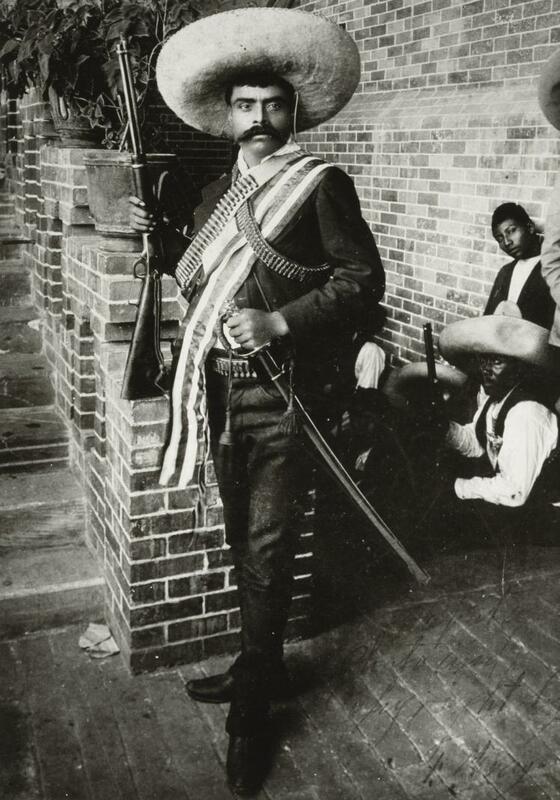 Mexican President AMLO has declared 2019, "El Año del Caudillo del Sur, Emiliano Zapata Salazar." May his memory endure another 100 years, and beyond.